SALINAS, Calif. -- An 11-year-old boy confessed Saturday to posting threats against Salinas elementary schools on Instagram, police said. 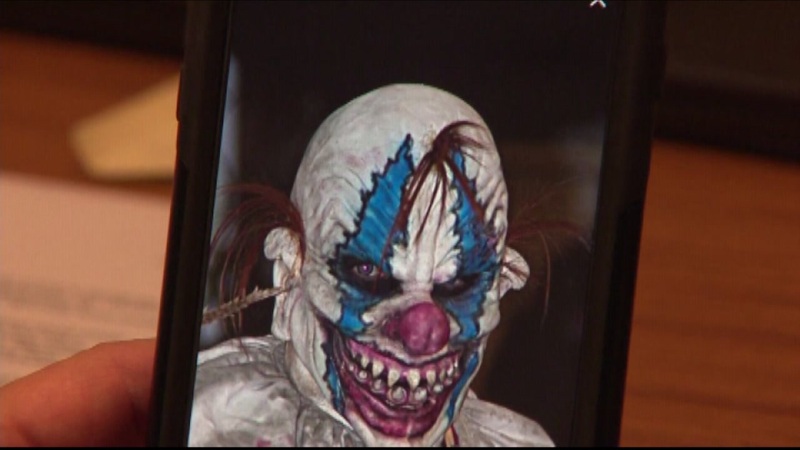 The Instagram account in question was created last week and depicted a photo of a "scary clown," according to Salinas police Cmdr. Sheldon Bryan. The Instagram user posted threats against schools in the Alisal Elementary School District, creating widespread fear and leading some parents to pulling their children out of school. A Salinas police detective spent "hours" writing a search warrant for the Instagram user's IP address, but before completing it, elementary school officials learned that another 11-year-old student knew the user's identity, Bryan said. The suspect, a student at a different elementary school, confessed to a Salinas police officer who contacted him Saturday. The boy said he was trying to scare students and copying other nationwide "creepy clown" threats. The boy was cited for cyber bullying, Bryan said. Clown threats and sightings have been reported throughout the Bay Area all week, most menacingly in Concord, where a mother reported a "creepy clown" tried to kidnap her 1-year-old child on Wednesday afternoon. The woman kicked the clown in the shin and the person fled. The FBI is investigating the threats, according to a spokesman for the Oakland Unified School District. Schools in the district were placed on lockout Friday after school officials decided the situation was getting out of hand, a district spokesman said. The lockout, which means officials at each school put strict controls on traffic and people coming in and out, began at around noon and was lifted at 2 p.m.
No students, faculty or staff at the schools have been injured because of the threats or sightings. School officials said the lockout was intended to avoid any distracting "creepy clown" antics, rather than fears about any threats. The Rohnert Park Department of Public Safety said that officers responded to nine clown sightings between Tuesday and Friday, though nothing criminal was suspected. Sonoma State University has responded to clown sightings as well as an unrelated person in a gorilla suit, according to Rohnert Park police. Fremont police reported a clown sighting Friday morning. A clown was seen in Richmond Wednesday near Planet Fitness at 4925 MacDonald Ave., police spokesman Lt. Felix Tan said. Other sightings and threats were reported in Antioch, Burlingame and Fairfield this week. The East Side High School District in San Jose has responded to the threats by deciding that they will not allow anyone to wear a clown costume or any costume that hides the identity of the student for Halloween. The "creepy clown" threat has been directed mainly toward schools in the Bay Area and across the country this year. The threats, posted on social media sites like Instagram, began earlier this year on the East Coast of the U.S. and have spread to the West Coast. Most of the threats have been hoaxes. The clowns that have been seen have scared people, but few have been dangerous.